his dimples – how merry! The illustrator of this vintage Christmas image was not identified. 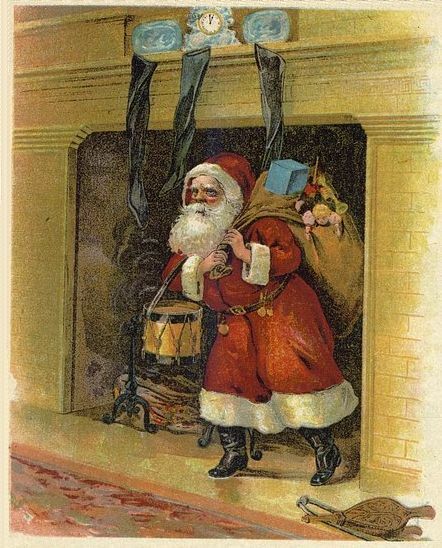 It was used to illustrate Clement C. Moore’s (1779-1863) famous poem Night Before Christmas published circa 1870.